Are you planning on flying first class for your honeymoon? Well, if you are, then you might want to think about it first and see if your money wouldn’t be better spent on other things. It is easy to understand why honeymoon couples choose to fly first class when they are going on their honeymoon, but is it really worth it? 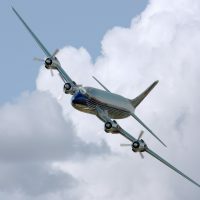 Did you know that in the past, the passengers that sat in the front of the plane were considered upper class, to the envy of other passengers flying in the back of the plane. 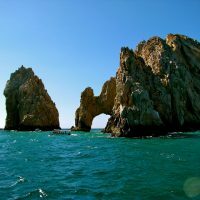 Do you know that Cabo San Lucas, Mexico is known worldwide for its outstanding culinary tourism and organic produce? Of course, Cabo San Lucas is known for having the freshest fish and seafood dishes that are caught in the Pacific Ocean and Sea of Cortez. The world-class cuisine and sought out tourism in Los Cabos is contributed by the organic local fruits and vegetables grown here. 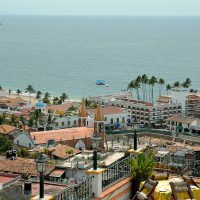 Puerto Vallarta is also known as PV or ‘Vallarta’. This spectacular beach city is on the Pacific Ocean west coast of Mexico and in Jalisco. If you are wondering where Puerto Vallarta is, then it is just south of San Blas and approximately 300 kilometers or 185 miles from the state capital, which is Guadalajara. Here are the coordinates of Puerto Vallarta 20° 37′ 0″ North, 105° 15′ 0, and surprisingly the same latitude as Hawaii. Mexico’s Yucatan Peninsula is peppered with a number of Mayan archeological sites that are located within relatively easy reach from Cancun. 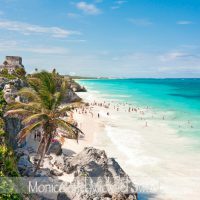 It you are staying in a hotel in Cancun or Riviera Maya, you can book many comfortable organized tours with your concierge or private tour agencies. The pre-Columbian Mayan Civilization populated what are now the southern states of Mexico and the Yucatan Peninsula in addition to Belize, Guatemala, Honduras and northern San Salvador and has left a mystical legacy of temples and pyramids in the form of Mayan ruins. 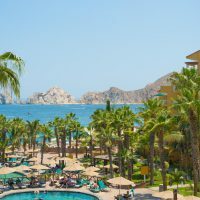 If you’re after a place to vacation where everything seems wonderful and fabulous, Mexico’s Cabo San Lucas is highly recommended for you. People from all over the world have come to appreciate its exquisite beauty and charm beyond compare. With its abundance of great attractions and scenic landscapes that please the eyes, it’s an exotic paradise that fits traveling families, honeymooning lovebirds and explorer groups. Let’s enumerate the things to expect once you set foot in one of Mexico’s best loved places.